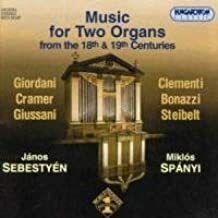 Looking for something unusual to hear that I haven't heard for a long time, I pulled out this CD "Music for Two Organs from the 18th & 19th Centuries." What a very uplifting surprise! The two organists are János Sebestyén and Miklós Spáni. We hear music by Daniel Gottlieb Steibelt, Ferdinando Bonazzi, Severo Giussani, Anonimo Italiano, J. B. Cramer, Tommaso Giordani, and Muzio Clementi. 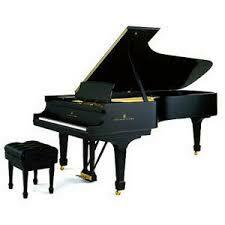 These are largely sonatas, a pastorale, and a duettino. A couple of the works were originally for organ duet, but most are for two organs. It is not totally unusual to find two organs with an edifice, generally a church, but that's what they have at the Tordas Lutheran Church in Hungary. The original recordings were made in 2002. I just discovered the CD is out-of-print, but available from Amazon for around $90/USD, which includes postage, a little cheaper from Amazon-England. Hungaroton, a very interesting label with a fabulous catalogue, generally keeps most of their output active. But I note there have been substantial deletions over the years. This particular CD would now be 15 years old. Very fine sound. The point is, this is eminently listenable music. I wonder if jbuck knows any of this music or has performed it. I was not able to capture a photo of the back inlay describing the repertoire. Re: Music for TWO organs! I'm afraid I don't know any of that music. (I am tempted to add that I am more afraid of what I might find if I did, since none of those men were composers of stature.) I have heard two organs play together in the same church, including an excellent pair right here in Glens Falls NY at First Presbyterian Church, which has brought in many distinguished organists over the years, not necessarily or even usually to play duets.